If you haven't had the chance to binge-watch the extraordinary 8 part series on Netflix yet (with each episode being a very watchable 28 minutes), you're in for a treat. 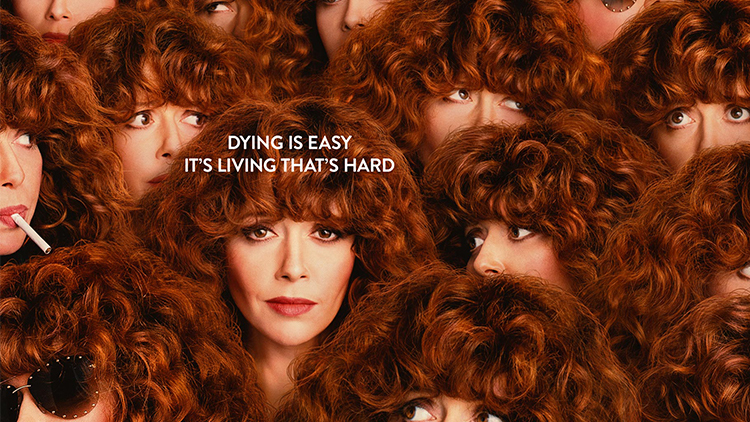 Emmy-nominated actress Natasha Lyonne stars in this comedy-drama series as Nadia, a young woman at her birthday party. But she gets caught in a mysterious loop as she repeatedly attends the same event and dies at the end of the night each time -- only to awaken the next day unharmed as if nothing had happened. The writing is whip-smart and nuanced (with an all-female writer and director lineup), but one of my favorite things about the show was that it's set in my personal favorite neighborhood in NYC, the East Village, which plays a prominent role in the plot. 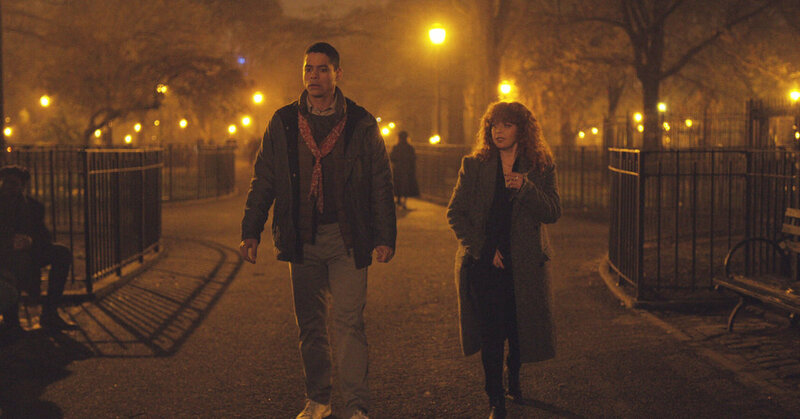 While there are a variety of theories as to the show's meaning, the NYTimes Jason Zinoman feels that the ultimate meaning of the show is a reflection on history, guilt and gentrification, centering on Tompkins Square Park, the nexxus for the show's action. And St Nicholas Carpatho Church, which provides the exterior for Maxine's birthday party for Nadia (as far as I know, it's still a practicing church and not an apartment building or converted dwelling). 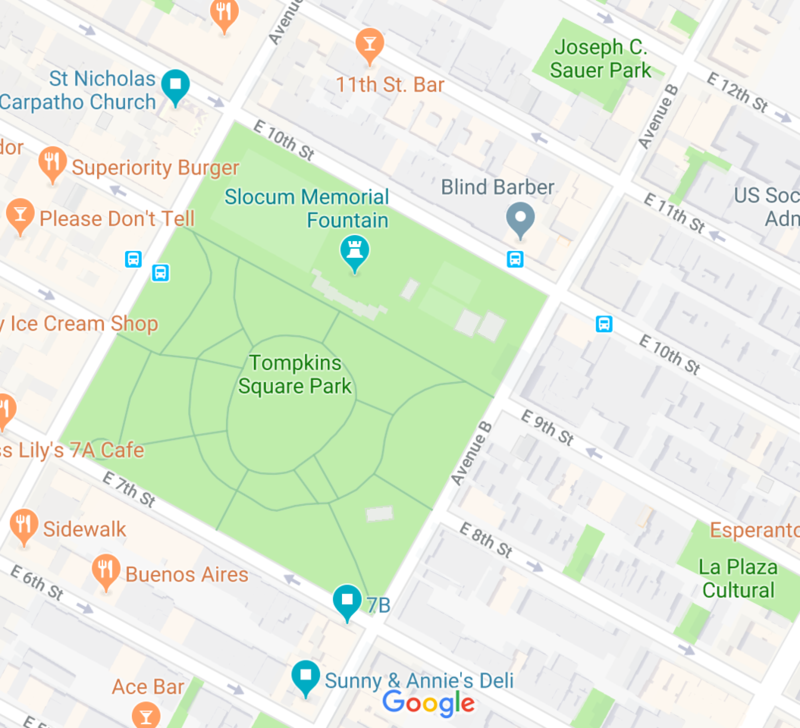 Interestingly, the one location I recognized in the show that isn't a short walk from Tompkins Square Park is the Salvation Army headquarters on 14th Street, where Alan goes to meet someone from his past (*I'm counting walking all the way to the periphery of the Island to stare at the water, bridges, etc as being a 15 minute walk - so not quite as far). You'll notice how close the 3 primary locations - Nadia's party, the deli, and the bar - are together (marked in teal on the below map). That's so awesome! 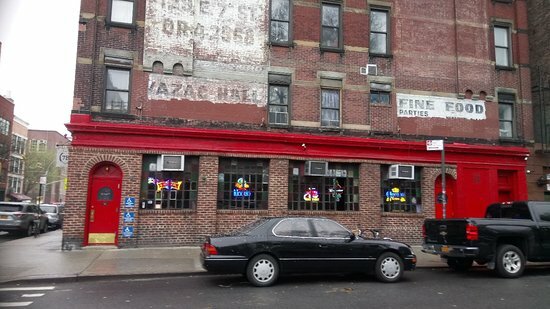 I thought I recognized Luke Cage's bar, but I had no idea these locations were all so close to each other. My only gripe about the show is the shockingly inaccurate portrayal of a code review 😱, but I'm willing to overlook it (and only programmers will care). But Nadia's approach to methodically debugging her situation is very much what a programmer would do. I thought they did a great job with her character as a whole. I've read they have a plan for three seasons. Can't wait to see what they come up with! I just watched the whole thing last night and thought it was amazing. 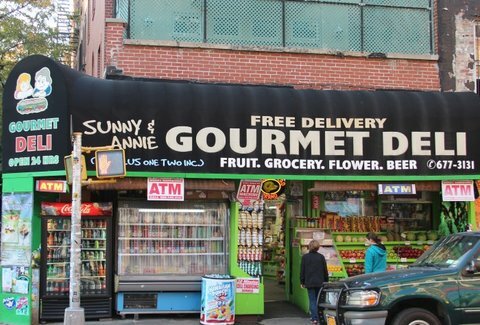 I spent a brief time in NYC and one thing that struck me from the show was how much more realistic the setting felt than the typical NYC movie setting, even for an outsider. I was just listening to a podcast from 99pi that talks about how Corlandt Alley is extremely overshot in cinema to make New York look like it has a dark alley infestation. To the point where there is a movie making economy that has sprung up around it. Yeah, the one location that I couldn't place was the tunnel-bridge-parade at the end - I have absolutely no idea where that is. fun when cool shows are in familiar environments. For me it was the trainspotting film. The dolls series was really nicely done, I am a sucker for her wit and sense of humor. The writing and directing was awesome. The few mostly female driven productions netflix has come out with is really encouraging, plus they are just damn good too. So when do we get to discuss the ending, I am still a little confused. Wow - now THAT is a treck! That would take quite a while to get to. Bonus points for official RUSSIAN DOLL Spotify Playlist! I was trying so hard to figure out where this was - thank you! I probably walk by her all the time but I'm awful at recognizing people (and wouldn't want to be rude)! I have skipped over this show when looking for something to watch on Netflix many times (the title just didn't appeal) but started watching after read this post and am really enjoying it. Another article on how RUSSIAN DOLL inspires the best in people.